Rock Creeks are a dime a dozen across the West. But Montana’s version is the gold standard, cutting through the Sapphire and Garnet mountains and crawling with thick trout and ultra-slick wading opportunities. 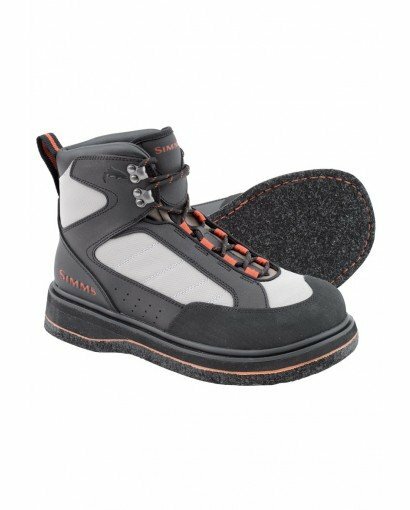 Simms Rock Creek Boot, with a full-length retention plate for HardBite™ studs, is the solution to stomping out the slip factor. Anglers will appreciate heavy-duty construction packed into a lightweight boot built for long miles. The cut and buff EVA midsole bolsters stability, while rubber rand toes and heels ramp up abrasion resistance for lasting comfort and durability over a wide range of creeks that rock.